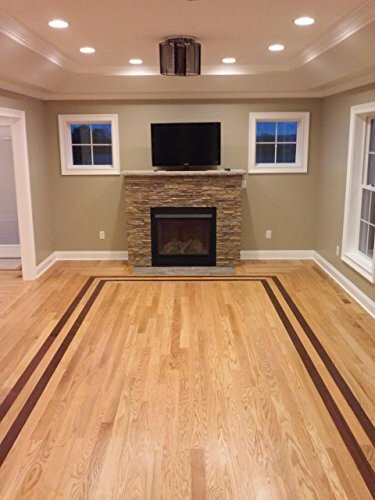 We know that your investment in wood flooring is a big decision. We want you to be happy with your choice for years to come. As with all big investments, the more you learn about it beforehand, the more confident you will feel that you've made the right choice. Red oak is a hard, porous wood. On the Janka scale, which measures the hardness of wood species, it has a rating of 1290, putting it on the harder end of the spectrum. It is easier to work with, both by hand and with machines, than higher-rating species such as hickory or mahogany. This also helps account for its relatively low cost and its popularity with woodworkers. Red oak is not recommended for outdoor applications, as it will warp easily with prolonged exposure to the elements. Northern Red Oak has the tightest grain and most consistent warm color of the species. It's neutral color allows for a variety of applied stains and styles to compliment any home. Northern Red Oak is one of the most popular hardwood flooring options for both home and office. There are many factors that make red oak the most popular choice for wood flooring in the United States: its availability, its cost, its durability, its sustainability, and its natural beauty. As this species is native to North America, there is some comfort in knowing that one of the most striking features of your home was grown here, at home. So for a traditional look, go with an American classic that was Made in the USA.